All Saints’ Wake Returns to FINAL FANTASY XIV Online This Halloween! Beginning today, FINAL FANTASY® XIV Online players can ‘trick-or-treat’ themselves to the annual All Saints’ Wake event, which runs through Thursday, November 1 at 8:00 AM PDT. All adventurers are invited to take part in this limited-time event and explore a haunted manor, featuring a special questline and many frightful rewards available through this seasonal content. 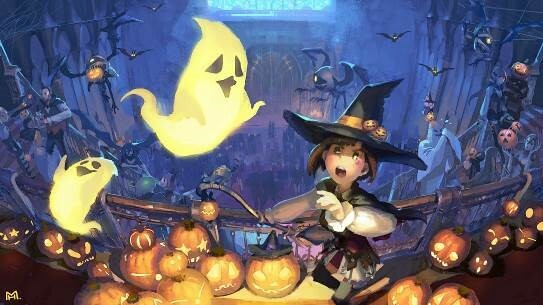 As part of the in-game event, players can earn unique items during this year’s return of the Continental Circus to Gridania, including two ghost minions, Little Yin and Little Yang, and an array of housing items to bring the spooky spirit of All Saints’ Wake into any player home. Furthermore, certain items from past All Saints’ Wake events will be available for purchase during the event period. All editions of FINAL FANTASY XIV Online, including the FINAL FANTASY XIV: Stormblood expansion, can be purchased through the Square Enix Online Store.